Around one year ago, mainstream media began picking up the story of Cape Town’s Day Zero. At the time, officials for the city predicted that its drinking water reservoirs would run dry by April, posing the most visceral water scarcity threat the globe has seen thus far. Through conservation tactics, public outreach and some timely rain, the city was able to stave off that April scare. As of Jan. 25, reservoir levels have stabilized considerably. According to Cape Town’s city water dashboard—an open display of water levels and water use—the combined level of the dams is 61%, and the actual use is below the targeted use level. That percentage is a massive difference from the near 20%—and predicted 13% by April 2018—that had plagued the city last year. Cape Town served as a reminder that water is a finite resource and has spurred several conversations on water scarcity throughout the year. Similar to Cape Town’s situation, drought in the Southwestern U.S. has posed concerns about water levels, and in Mexico City, failing infrastructure poses a great threat to water, as well. Cameron Manners, chief technology officer for Aquam, said water loss in Mexico City had reached 40% during points of 2018, which poses issues to the bottom line. Lake Mead and Lake Powell make up around 85% of the total surface water storage in the Colorado River basin, and their levels have dipped to shortage level conditions during extended drought. To see a video about Lake Mead and Lake Powell as water scarcity indicators, visit bit.ly/dayzerolakemead. With this now depleted resource, water is pumped in through miles of pipe, which Manners said has begun to fail at an alarming rate. Repair and replacement are difficult prospects. He noted that Aquam, specifically its Nu Flow Technologies subsidiary, signed a deal to address the infrastructure problem in Mexico City through pipe rehabilitation, pressure systems, and technologies such as drones and satellites. These are aimed at identifying high-value areas for pipe replacement to provide a roadmap for where to start. “Drones will do transmission lines better, running through areas that are inaccessible. That’s a great way to find leaks. There’s great satellite technology out there that can also find a large amount of leaks in inaccessible areas, and then there is internal pipe that you can go in and do diagnostics on the inside of the pipe to find the remaining life expectancy,” Manners said. While Aquam’s efforts fall into the technical side of fixing the problem, he said addressing theft and educating the public about water scarcity and water conservation tactics also is an important step. 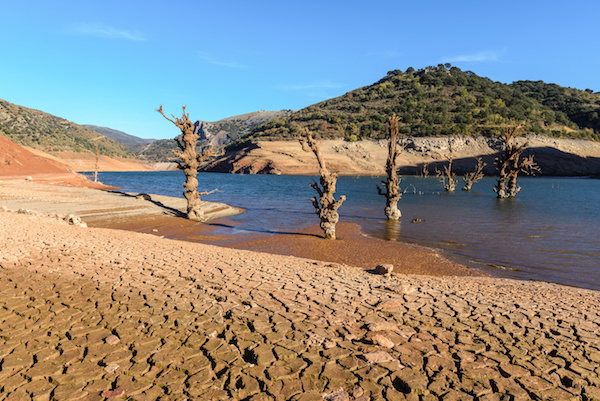 While most concerns about water scarcity occur in arid regions of the globe that are prone to drought, the importance of conservation should not be relegated only to those areas. Tonya Chandler, Anue Technologies vice president of sales and marketing, said the impact of waning water supplies has a wider effect. “When you start to think about the impact of what would happen if you start to see those lakes [the Great Lakes] drop, when you start to see some of those streams dry up, it has an impact environmentally on the ecosystems that depend on those,” Chandler said. “You’ll lose some of the fish, some of the microorganisms. Well, that will affect what eats those. That will start to affect the food supply. She said water reuse can take many forms as a means to address scarcity issues. Areas that have a lot of rainfall can use storm water for irrigation purposes—or, in some cases, potable use—while regions of the Southwestern U.S., where water is at a premium, are working toward direct potable reuse of wastewater. Chandler noted the bigger issues plaguing widespread water reuse strategies comes down to cost and public perception. The public still can be quite averse to greywater reuse and direct potable reuse. Furthering the One Water message to the public, however, could be an avenue toward making the process more acceptable. Gilad Cohen, CEO of IDE Technologies - Americas, said public outreach and messaging like that used in Cape Town also is effective. The transparency and openness about the situation, as well as the approach to outlining conservation strategies, has made strides for that community. “Part of it is that they did a water management program to help with that, which is usually the first step,” Cohen said, noting that places such as California have created a culture change where “conservation is a way of life” by incentivizing users to better conserve water and by providing alternative pricing tiers. Cohen also said that using rainy years to prepare for the dry years is important. By taking a longer-term look at water use, utilities and their customers can have a proactive plan to ensure water keeps flowing, even in the most dire situations. He added that brine management, particularly in mining applications and desalination plants, also is a critical factor to address as increases in salinity of discharge can have a negative effect on local ecosystems. When it comes to technology, desalination is still among the most critical advancements for water-strapped regions. Cohen noted that desalination has risen in popularity, particularly in Israel and Australia. In East Asia, he noted, desalination and water reuse are finding a home, particularly in the private sector. Chandler said advancements in water reuse technologies will bring down the cost of reuse over time. That cost can be a barrier to facilities looking to implement water reuse processes and technologies, particularly with small water and wastewater systems. Notably, she said membrane efficiencies are one area of great advancement since the technology first was introduced. She also said that ozone also can lead to improved efficiencies for facilities. When introduced as a disinfectant, the ozone becomes oxygen, which is not harmful to the atmosphere, but Chandler said despite that, ozone still gets a bad reputation. Cohen said energy efficiency is another area for improvement. While membranes have reduced the reject rate of water over the years, pushing the water through the membranes still takes energy. This is a focus for him and his company. Looking at other industry leaders, Cohen is not alone in that sentiment.